You don’t have to go abroad to appreciate fine wine, history and picturesque countryside; all of these can be found in our very own backyard! Take a tour of the best parts of Kent and Sussex and sample the delights of two popular counties over a summer weekend. Based in Gravesend our busy itinerary entails two sets of wine tastings at local wine producers, a trip to Brighton, a historical visit to Battle Abbey before finishing in Royal Tunbridge Wells, where we can discover this towns royal connections. Before all of this, meet your Tour Leader for a welcome drink and dinner as we settle in for a great weekend! On Sunday we travel to East Sussex to visit the first organic vineyard and now the first vineyard to release Biodynamic English Wine. Here at Sedlescombe, another award winning winery, we can see organic and biodynamic farming being accomplished. Visit 3 vineyards and an ancient English woodland before a tasting of 4 wines including sparkling, red, white, rosé and a liqueur in the ‘Bar-in-the-Barn’ in this High Weald Area of Outstanding Natural Beauty. 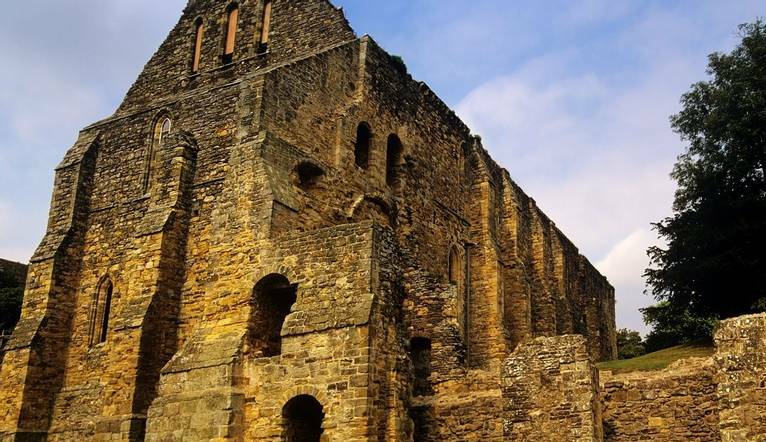 It’s then a short drive over to Battle Abbey where in 1066, the armies of King Harold and William the Conqueror clashed at the Battle of Hastings. A Benedictine Abbey was founded on the site in 1071 and established as a memorial to atone for the bloodshed. Explore the ruins, hear stories of the battle and perhaps take in the stunning views from the roof. Our final morning takes us into the historic spa town of Royal Tunbridge Wells. Our guide shares tales of the many famous visitors including Queen Anne, Queen Victoria and Samuel Pepys who helped put this picturesque town on the map. We can browse the colonnaded Pantiles or grab a coffee in one of the many buzzy cafés before we head home. Ridgeview wine estate nestling at the foot of the South Downs, is a family run company creating some of the highest quality sparkling wines in the UK. Founded in 1995 by Mike and Chris Roberts, we take a tour of this award winning vineyard and taste 3 wines with grape varieties Chardonnay, Pinot Noir and Pinot Meunier. From here, we head over to the bustling city of Brighton for a spot of lunch (own cost) and time at leisure to perhaps walk along the seafront, visit the lovely ‘twitten’ or lanes, or why not take in the views on the British Airways i360 observation tower where on a clear day you can see all the way to the Isle of Wight. Our family-run hotel is based just outside the town of Gravesend with the Garden of England right on the doorstep. The hotel can be found off the Gravesend East Junction of the A2. Gravesend station is just under 2 miles away. Complimentary car parking is available. All of our en-suite rooms feature freeview TV, tea/coffee-making facilities, hairdryer and complimentary Wi-Fi.